Kyary Pamyu Pamyu has announced a partnership with XFLAG™ who deliver a range of media beginning with “Monster Strike,” a game app with an international user base of over 4 million people, as well as video content, e-Sports and more. She has been appointed as an XFLAG Entertainment Partner. It was recently announced that Kyary Pamyu Pamyu will release a new song titled Kimino Mikata, her first digital single of 2018, on April 11th. The singer and Japanese icon also unveiled an all-new artist photo that showed herself in a new light the likes of which fans have never before seen, embracing a more mature look. As an XFLAG Entertainment Partner, not only will Kyary be responsible for expanding the possibilities of entertainment created by XFLAG, she will also pursue and bring to life “exceptional” entertainment together with the company that no-one has yet experienced. Kyary Pamyu Pamyu has continued to captivate fans with her creative world and expression that flows with originality. In total, her music videos on YouTube far exceed 400 million views. She has also performed to over 90,000 fans across the world in Europe, the US and Asia during her three world tours. Her prominent recognition worldwide is the reason for her selection as a partner. She will pursue the possibilities of higher entertainment, and in one year from now, will reveal various initiatives together with XFLAG. 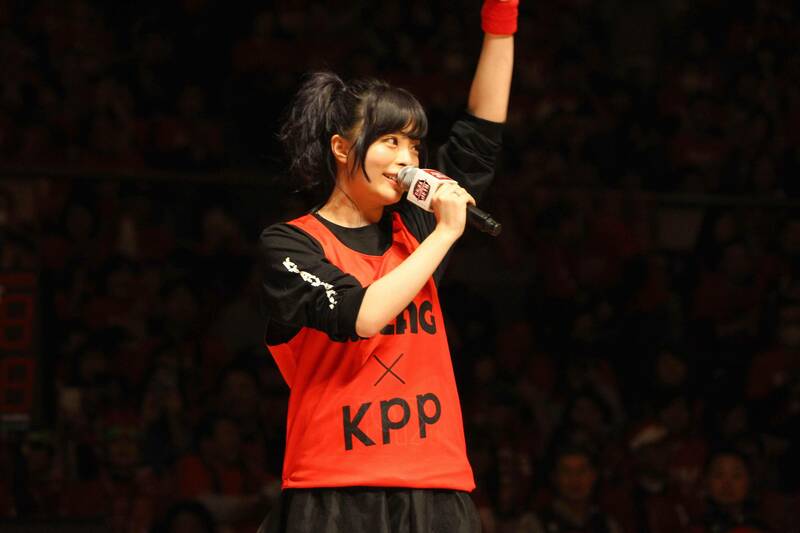 Her first job as an XFLAG Entertainment Partner was her surprise appearance at B.LEAGUE 21: Chiba Jets vs. Sun Rockers Shibuya Powered by XFLAG, a basketball match held at Funabashi Arena on March 3rd and XFLAG‘s first crown game. Once the video had finished, a long line of dancers appeared and a big box was carried onto the court all of a sudden as a ‘delivery’ from XFLAG. 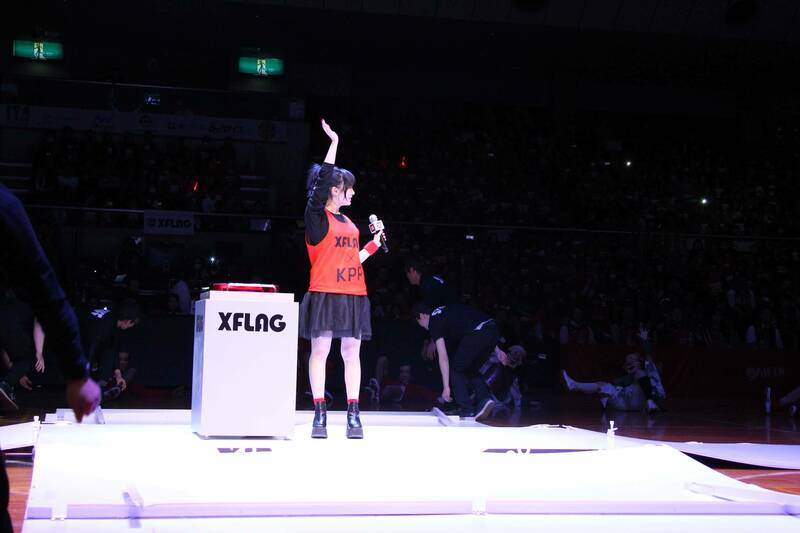 The moment the spotlight shone on stage, the box was thrown open and out stepped Kyary Pamyu Pamyu! The roars of 5,000 or so people filled the venue at her sudden appearance. Kyary Pamyu Pamyu responded to the cheers with a wave of her hand and commented, “The enthusiasm of all the Chiba Jets Booster’s* here is amazing, it’s exciting. I’m having fun too!” She went on to say, “I’m here to deliver a special halftime show for everyone!” The hitting of the start button signaled the beginning of the show. An international acrobatic basketball team appeared from the darkness dressed in body suits that sparkled with the LED lights to put on an enchanting and powerful dance performance. Kyary Pamyu Pamyu recently announced her 4th world tour scheduled for 2018. Last year, she held her first ever Halloween solo concert themed on “Japanese haunted houses,” titled THE SPOOKY OBAKEYASHIKI ~PUMPKINS STRIKE BACK~. Kyary is taking the show overseas for her international fans in her new world tour. 2018 is looking to be another year where Kyary spreads Japanese culture to the world even more with her unique outlook. 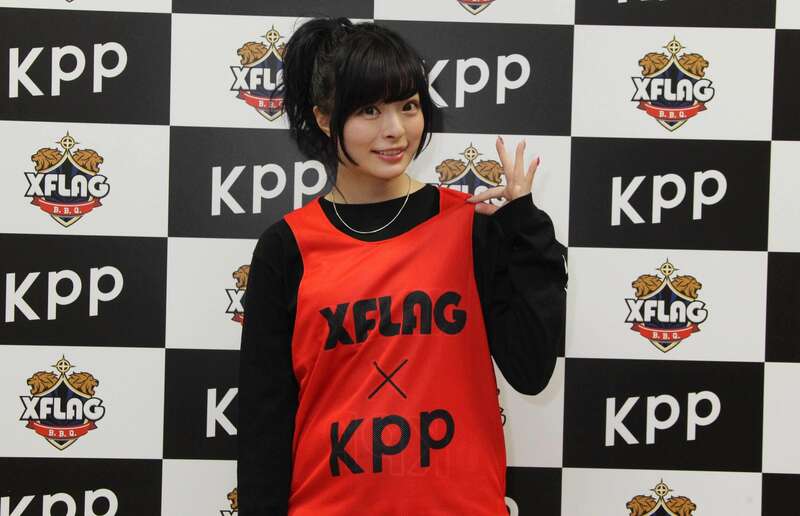 It’s time to get excited about Kyary delivering “exceptional” entertainment in Japan and overseas in her new partnership with XFLAG.